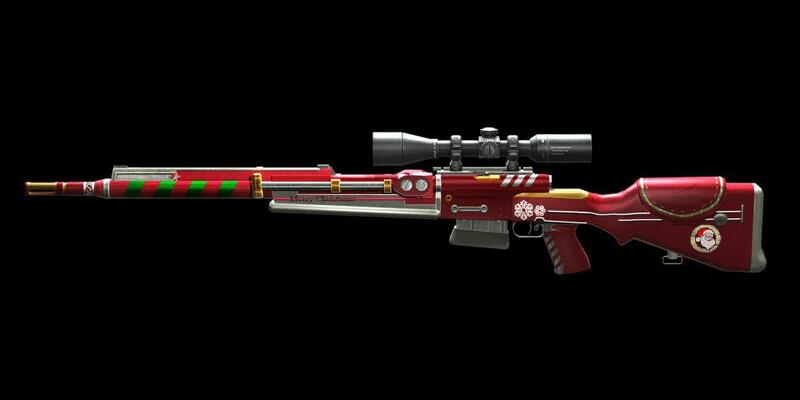 The FR-F2 x-mass is a variant of FR-F2 , one of the most popular sniper rifles. Although the TPG-1 is considered supreme for it's almost 0% tag rate, the FR-F2 seems supreme in all other categories. The FR-F2 has an excellent 1 hit KO rate, shots to the chest within considerable range are almost always Kills, as the FR-F2 has armor penetration which ignores the armor players are wearing. The mobility, scoping speed, and ammo capacity are all higher and faster than the TPG-1. However, the FR-F2 is not as advanced in penetration of walls or bodies as the TPG-1 is. The FR-F2 also has a higher rank requirement: Master Sergeant, but is worth the wait. The FR-F2 is also fairly customizable, where it can be upgraded and modified further to your preferences. 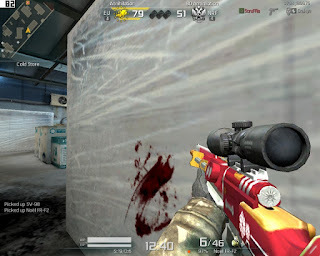 For decreased tag rate, it is recommended to buy the Long Range Barrel. Nonetheless, it is quite common among higher ranks in the PVP channel and on the Canon AI mission, where enemy snipers often are seen carrying it. 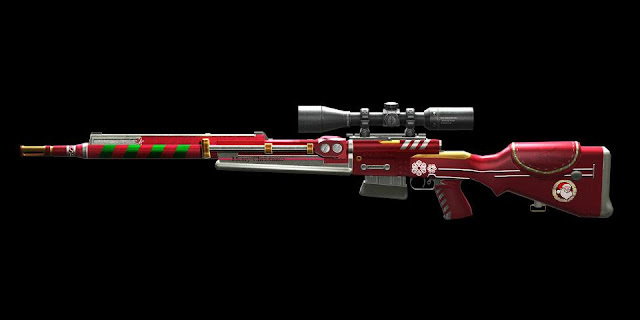 Overall, the FR-F2 is almost indefinitely one of the best sniper rifles in the game and a sniper would do well if he had one. Another advantage is the FR-F2's silence. Compared to the TPG-1's trademark firing sound, the FR-F2 is not so obvious. This is not so useful but may assist in keeping yourself hidden (especially behind enemy lines). It is not recommended to knife-swap with this sniper because the time it takes to load another bullet and the time it takes to pull out the FR-F2 is almost the same. Password MediaFire Nya Apa ?